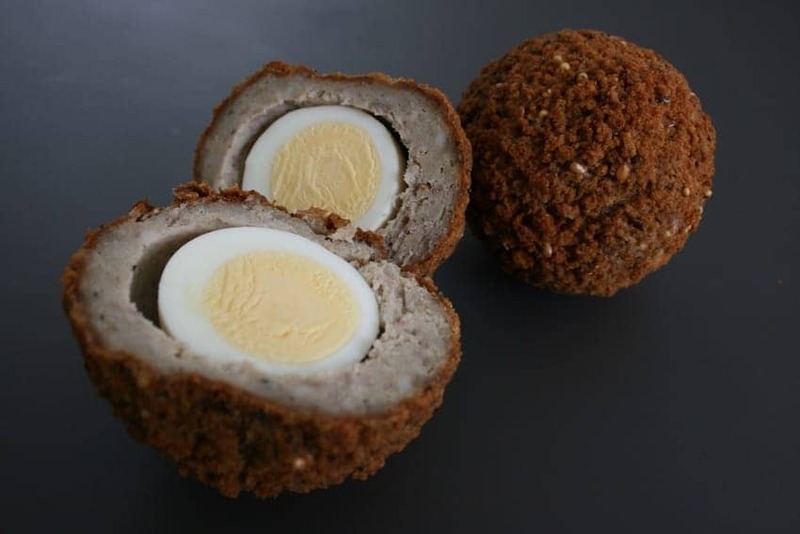 A Scotch egg consists of a hard-boiled egg wrapped in sausage meat, coated in bread crumbs and baked or deep-fried. They are usually eaten cold with pickles and salad. Opinion varies on their origin, claimed to be invented in medieval India or by Fortnum and Mason in 1738 for rich travellers, but they have appeared in British recipes for more than two centuries! A classic picnic food, Scotch eggs are available in many food shops and are currently enjoying a resurgence in popularity.